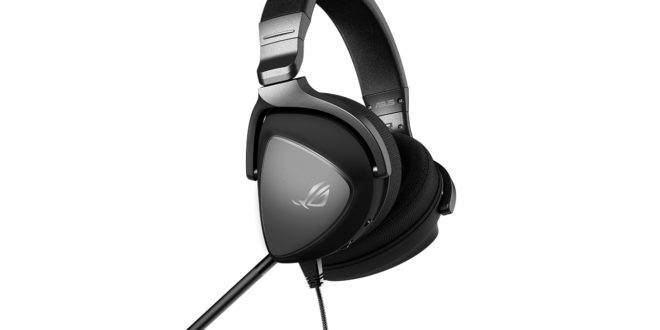 ASUS Republic of Gamers has announced ROG Delta and ROG Delta Core, a new series of gaming headsets tuned especially for first-person shooter (FPS) gaming. The headsets feature Sony-certified hi-res audio and are designed to be lightweight and comfortable. ROG Delta is the world’s first gaming headset with the industry-leading, hi-fi-grade ESS ES9218 QUAD DACTM, which delivers impeccably clear and detailed sound to give serious gamers the edge they need to win. ROG Delta features a USB-CTM connector and comes with a USB-C to USB 2.0 adapter for gaming on PC, console or mobile devices without changing headsets. 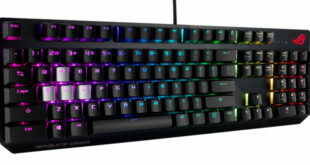 It also has a one-of-a-kind, circular rainbow RGB lighting effect. ROG Delta Core is a headset with a 3.5mm connector promising superb sound quality and an excellent balance of features and support for the most popular gaming platforms, including PC, Mac, mobile phones, PlayStation 4, Xbox One and Nintendo Switch. Both ROG Delta and ROG Delta Core come equipped with exclusive ASUS Essence drivers, airtight chambers and audio signal diversion technology to deliver high-resolution sound and deep, punchy bass for full gaming immersion. Ergonomic D-shaped ear cups with ROG Hybrid ear cushions provide upgraded comfort for gaming without fatigue. 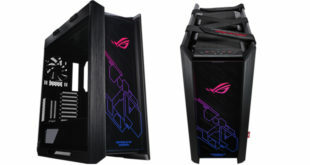 ASUS ROG has also launched the ROG Thor 1200W Platinum and ROG Thor 850W Platinum power supply units. The new product category is designed for enthusiasts who need a high-end PSU with advanced cooling, premium components, and customisable lightning. The ROG Thor 1200W Platinum features custom ROG heatsinks that boast 2X more surface area than standard designs, and the ROG Thor 850W is similarly equipped. Having larger heatsinks and other premium components means cooler operation under load, an extended lifespan for key components, and silent operation long after standard designs spin up their fans. In other ASUS ROG news, the brand has partnered with Activision for the upcoming release of Call of Duty: Black Ops 4 on PC. From September 10th to October 12th, ROG will be the first digital PC game bundling provider of Call of Duty: Back Ops 4. Consumers can gain access to the game by purchasing an eligible ROG product during the promotion period. 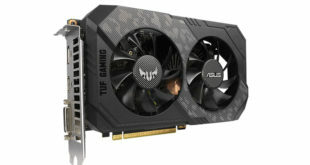 With a strong dedication to PC gamers, the Call of Duty team and ROG have worked closely on a unique collaboration with their AURA Sync technology across multiple product lines. “We are beyond thrilled to be partnering with ASUS Republic of Gamers in an unprecedented way for Black Ops 4,” said Ander Nickell, Director of Partnerships at Activision.